Global Coastal Changeprovides a comprehensive overview of the environmental factors changing the marine systems of the world including atmospheric changes, sea level rise, alterations in freshwater and sediment use and transport, toxins, overfishing, alien species, and eutrophication. Includes case studies providing real-world examples, detailed reviews of the evidence of changes and possible solutions. Brings together a wealth of important information about our changing marine environments. An invaluable reference for upper level undergraduates, graduates, and professionals interested in marine environmental science. Ivan Valiela has been teaching and doing research since 1969 in Woods Hole at the Boston University Marine Program, Marine Biological Laboratory. He has published over 200 articles on many basic and applied features of coastal environments, and has written Marine Ecological Processes, well-known as a standard text in marine ecology, and Doing Science, a guide to the design, analysis, and communication of scientific research. 1. The global context of coastal change. 4. Alteration of freshwater discharges. 5. Alteration of sediment transport. 6. Loss of coastal habitats. 10. Introduction of exotic species. 11. Harvest of fin and shellfish. 13. Other agents of coastal change. Provides a comprehensive overview of the environmental factors changing the marine systems of the world. 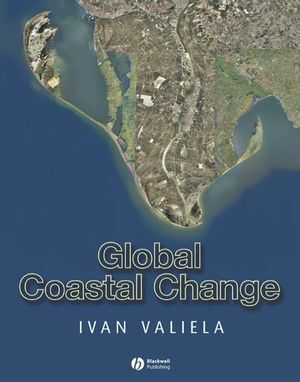 Evaluates the evidence of a wide range of factors affecting coastal environments, including atmospheric changes, sea level rise, alterations in freshwater and sediment use and transport, toxins, overfishing, alien species, and eutrophication.